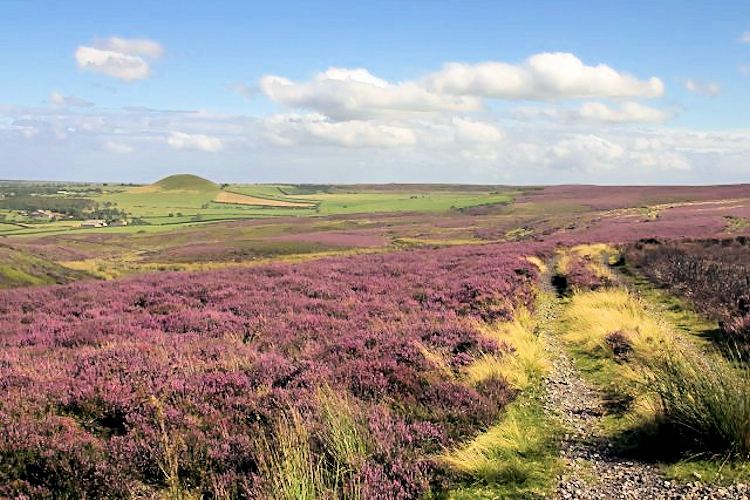 The North York Moors are a wonderful place to go if you are looking for peaceful walking. Miles upon mile of upland moor are the draw to those who visit the National Park and the walks, seemingly desolate in winter but beautifully coloured in summer and a glorious purple of blooming heather in late summer/ early autumn are loved by all who frequent them. Yet, the hills are not so well known as say those of the Lake District, Yorkshire Dales or Peak District. 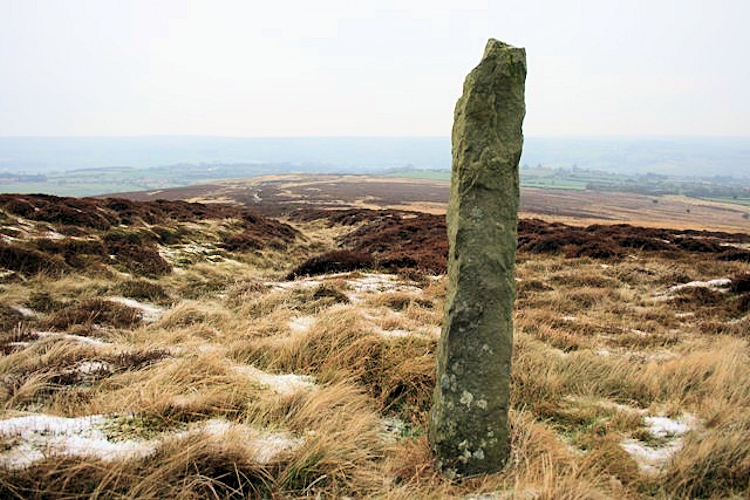 This is probably because rather than springing up in distinct profile they generally form the highest parts of the general characteristic of the widespread North York Moors. Despite this shortcoming there are eight points that rise in stature over the magical 1,000 feet mark. 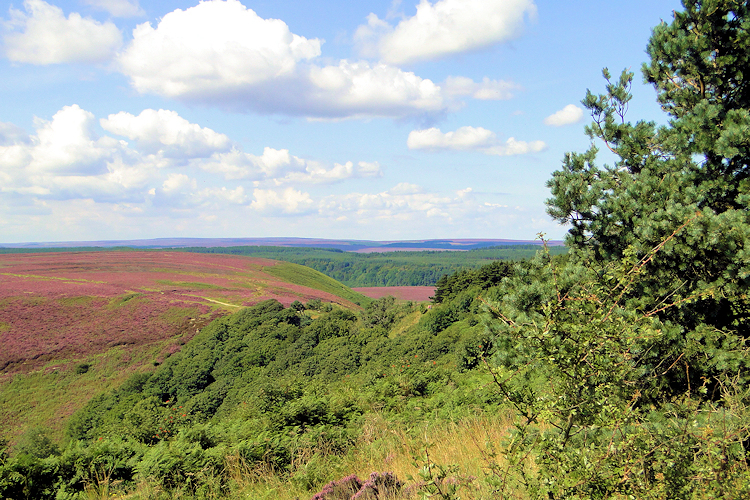 All eight are featured here as well as the next two to complete a North York Moors top ten. Another feature to look out for in the highland of the moors are ancient waymarks so look out for them too. Go on, get out there, enjoy the spendour of the North York Moors and bag them all. You'll love it. 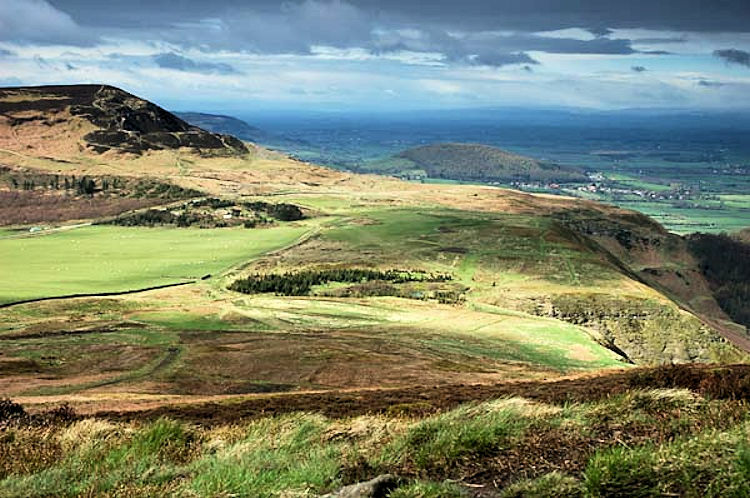 Cringle Moor is the highest point on the long ridge of Cleveland Hills that runs from Clay Bank to Osmotherley, a ridge so well know by frequent road users of the A19 from Middlesbrough to Thirsk on a journey to the the A1 and the south. 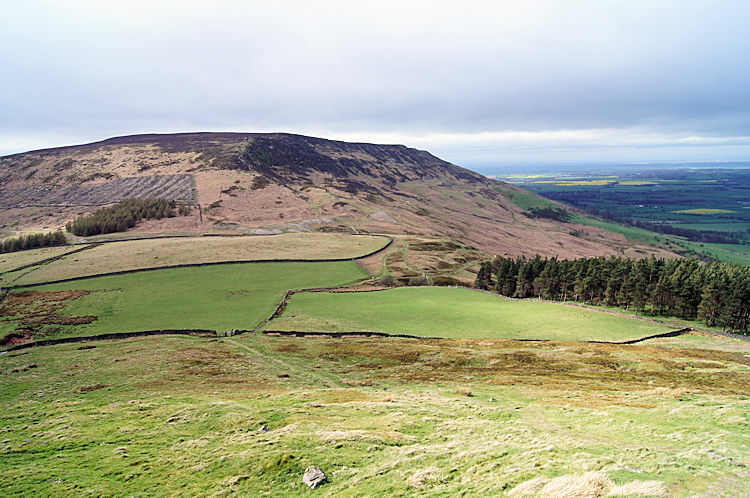 Unlike the higher Round Hill, Cringle Moor has the clear shape of a proper hill if approached from the east as the picture to the left shows, a picture I took in 1994 during my first Coast to Coast Walk. Carlton Bank neighbours Cringle Moor. 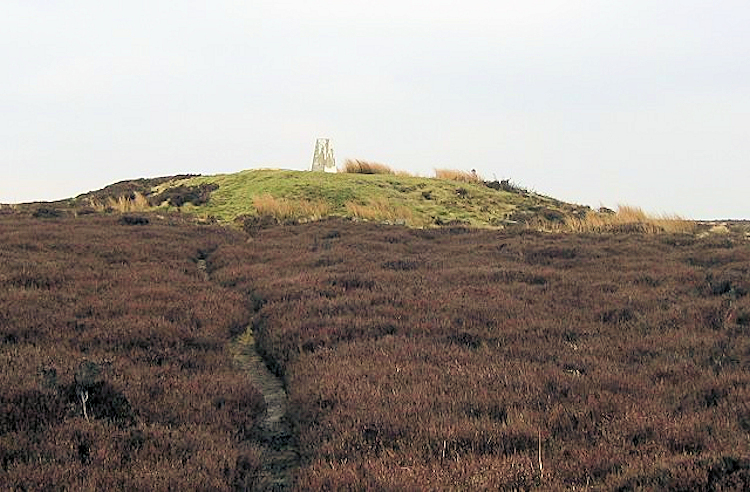 Separated by a moorland road, Carlton Bank is favoured with its own trig point whereas the higher Cringle Moor is denied. Once again, Coast to Coast walkers get to walk to this point and this time without detour as the Coast to Coast path runs straight to the top of the hill. The view from Carlton Bank north west over the Vale of Mowbray is stunning. I recommend pausing at the trig point and taking it all in. Noon Hill, as marked on OS 1:25,000 mapping or Green Howe on OS 1:50,000 stands high and proud to the south of Raisdale and can be best walked to from the Chop Gate pub which is a bikers favourite on the B1257 Helmsley to Guisborough road. There appears to be a lovely ridge walk from Noon Hill to Carlton Bank so although I had not done it when I compiled this list it is certain to appear on Walking Englishman pages. 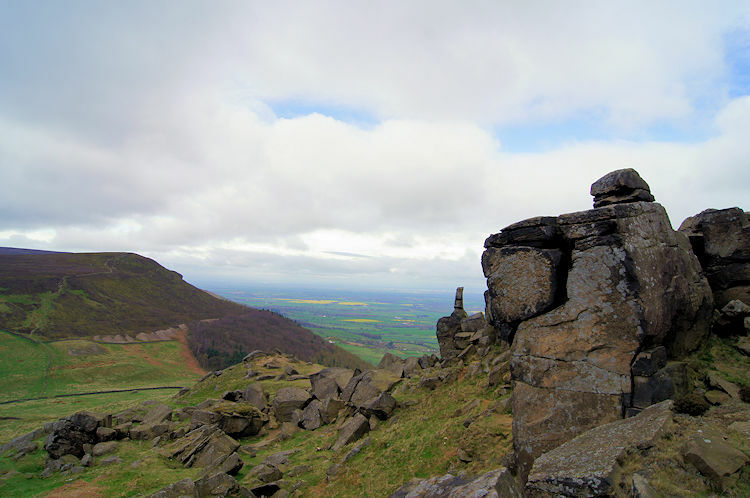 The Wainstones are a distinctive rocky outcrop, one of few on the North York Moors. They break out of the top of Hasty Bank near Clay Bank Top and I am sure many Coast to Coast and Cleveland Way walkers have trod off the path to venture amonst them. Apparently they are not the first though for it is said they are named after a Viking leader who was slain there. 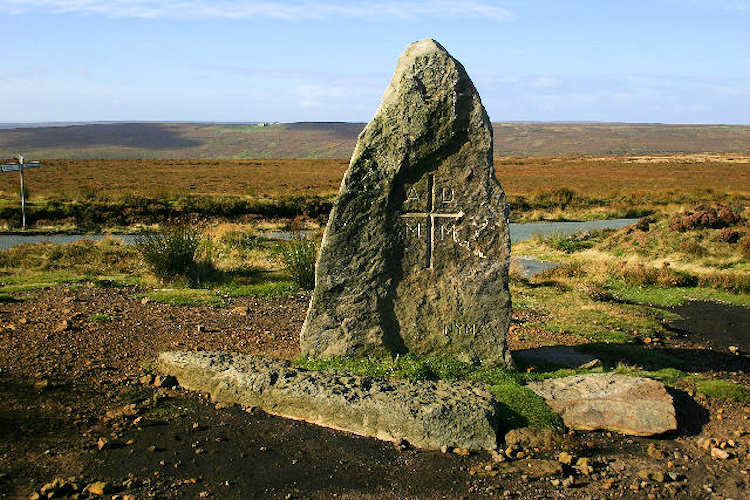 Wanian means to grieve in Saxon, hence Wainstones. 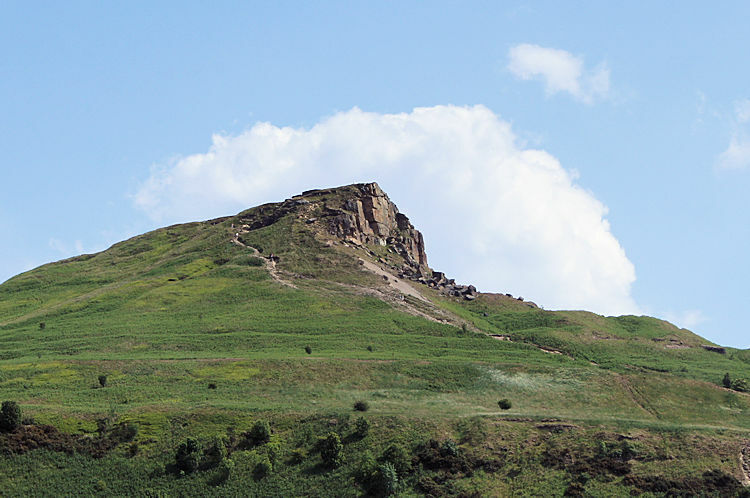 Roseberry Topping is a special easy recognisable hill. It's summit has a distinctive half-cone shape with a jagged cliff. The more adventurous dwellers of Teesside climb it often and regard it as their hill. 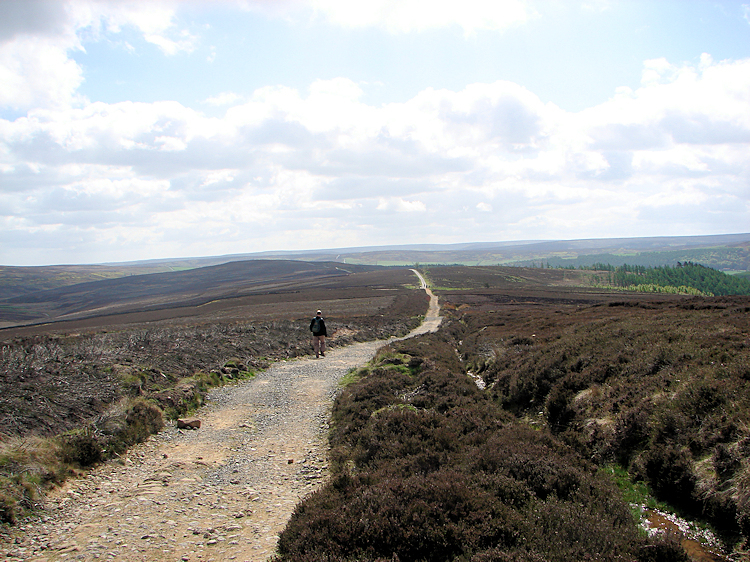 Who could blame them, it is probably the most walked hill in all of the North York Moors. I remember climbing it as a youngster, it being one of my earliest walking experiences and while not a Teessider myself, I too regard it with special affection. Stony Leas is the highest point in the eastern moors region of the National Park. With a trig point marking the spot and the Lilla Howe standing stone close by the area is dominated by the RAF Fylingdales Radar Station which is about two miles south west of Stony Leas. Lilla Howe is the site of a Bronze Age Round Barrow so when you visit it may be quiet but spirits may dwell. You could walk from here to the final high spot of this top ten (below).